We've all got our favourite podcasts, right? Well, if yours happens to be a podcast all about creating a more sustainable planet, then this is the place to help you find other great podcasts we know you're gonna love. Check 'em out. We've categorised them here to help you navigate your way through audio heaven. Enjoy. For organisations that want to change the world. Released every Monday, The Better Business Show offers insight, inspiration and hope by exploring the people and companies proving that sustainable business models do work. Surviving climate change, resource depletion, the energy crisis - and staying profitable. The latest green business podcasts from edie.net, the leading information resource for sustainability professionals. 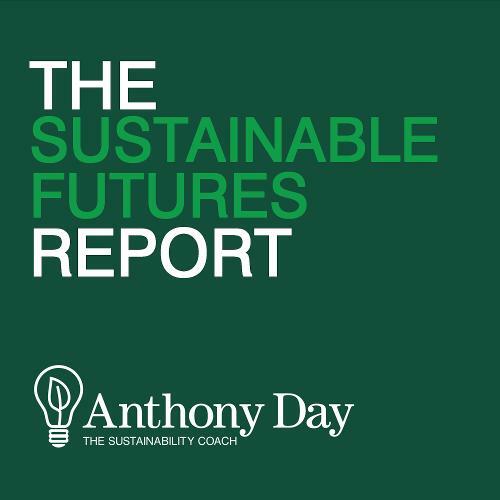 The podcast features inspirational interviews with leaders of sustainable practices. The interviews are designed to help you discover best practices, share information and inspire you to embed sustainability into the heart of your organisation. Listen up! GreenBiz 350 is the weekly podcast taking you behind the headlines in sustainable business. A nationally-syndicated weekly radio show and podcast covering the shift to social, environmental, and economic sustainability. An ongoing conversation with investors, corporations, policymakers and public interest groups about how they are adapting business strategies and financial markets to address the risks and opportunities of climate change and other sustainability issues. A podcast for aspiring and early-stage social entrepreneurs, and for those who want to make an impact on the world. Three times per week we interview social entrepreneurs, founders, investors and thought leaders. An independent, nonprofit news program and podcast that reports deeply and constructively on philanthropy, nonprofits, international aid and social good initiatives. A dialogue among prominent leaders from business, government and civil society who are illuminating the path toward a global, low-carbon economy. Our mission is to offer tips and tell stories we all can use as consumers, as citizens, as neighbors, and as parents to make responsible choices, to connect to the growing environmental community. A weekly news and information program from PRI about the world's changing environment, ecology, and human health. A podcast about the environment. But with jokes. Devoted to exploring the diversity of perspectives on issues of sustainable development...and provides educated yet accessible, incisive yet balanced conversations about a broad range of issues. Leading science journalists provide a weekly one-minute report on the science of the environment and the future of energy. Marjorie Alexander interviews some of today’s more influential environmental changemakers – scientists, entrepreneurs, inventors, policy makers and activists – to uncover the knowledge, habits and resources that make massive change possible. Bringing you interviews, news and commentary about ecology, Permaculture, organic gardening, sustainability, natural building, regenerative farming and ethnobotany. From sustainable farmers to food activists, real food nutrition practitioners to sleep experts, this podcast features interesting guests who all play an important part in the sustainable living story.